9 all I can remember of the conversation right now. 13 		THE COURT:  Go ahead. Counsel. 18 		MS. ROMANO: No objections. 22 lost track of the exhibits we've marked. I apologize. 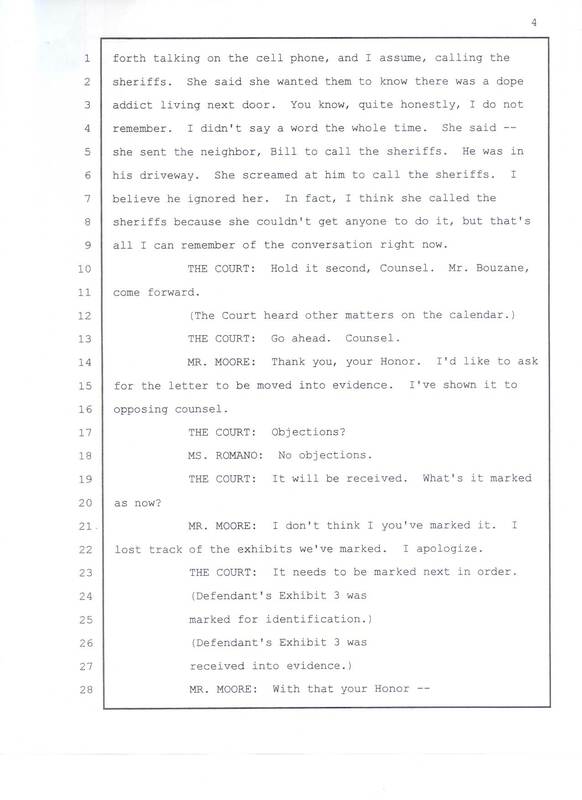 23 		THE COURT: It needs to be marked next in order.